Lots of new goodies to show you today, so I'll jump right in! All images are clickable. Don't forget new releases are 20% off today only! 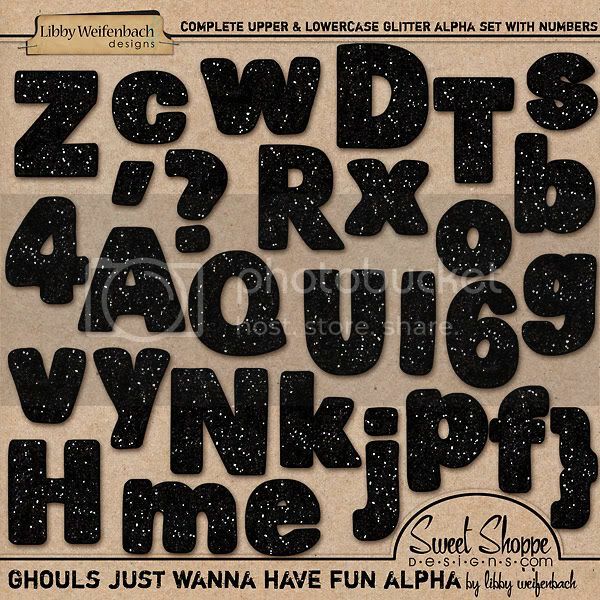 This fun black glitter alpha was originally released as part of the Ghouls Just Wanna Have fun kit, and it's now available on its own! 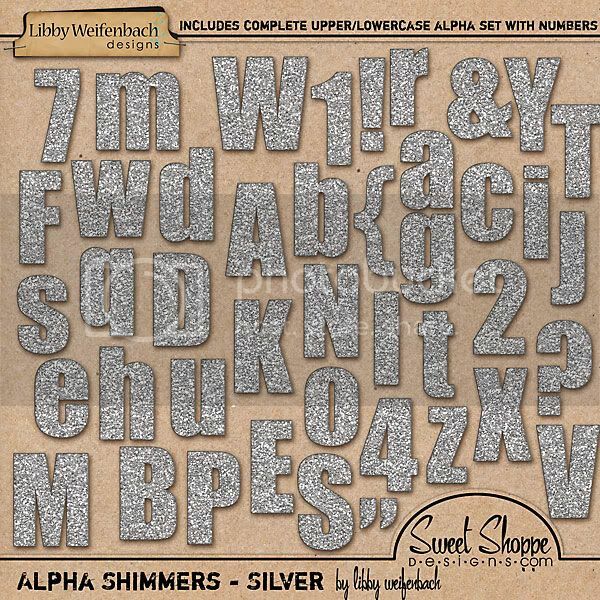 This shimmery silver glitter alpha includes a full upper and lowercase alpha & numbers set that will coordinate with everything to add a little extra punch and sparkle to your page. A little bit of sparkle and shine makes every page a little bit brighter! Alpha Shimmers is set of 6 complete glittery alphas that you will reach for again and again! You're scrapping with the perfect kit when you realize there's something missing. It's the story and the perfect way to record it. 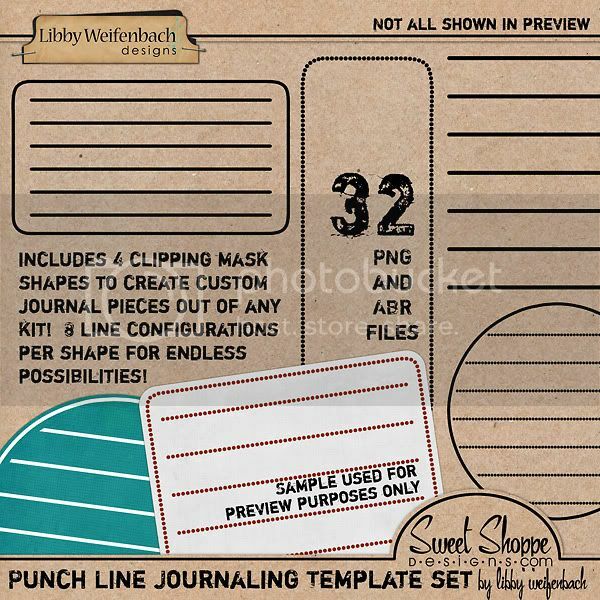 Enter - Punch Line Journaling Templates. With these clipping masks and overlays - in both abr and png files for every program to use - you can use the papers from your favorite kits and the colors that will coordinate and make a versatile journaling piece to finish your page off just right. I love those journaling spots/templates! perfect Libby!